So both of my kids have March birthdays. I love making their birthday cakes. We’ve had a variety of themes and flavors over the past few years. We’ve had buttercreams and fondants, cakes and cupcakes. My sons birthday party is coming up and he wants a Wall-e cake. 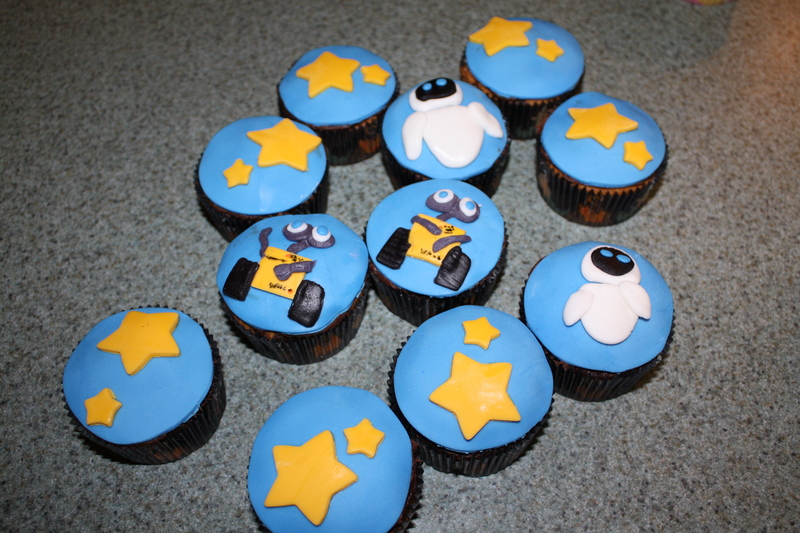 Last year we had wall-e cupcakes for his school party. My daughter has declared that her third birthday party is going to be a jewelry party. I think the Hello Kitty cake was my favorite. So today I made a test batch of cookies and cream cupcakes…I combined a few recipes, I can’t seem to stick to just one. I plan on making a rainbow cake as well, because the boy really likes the colors. 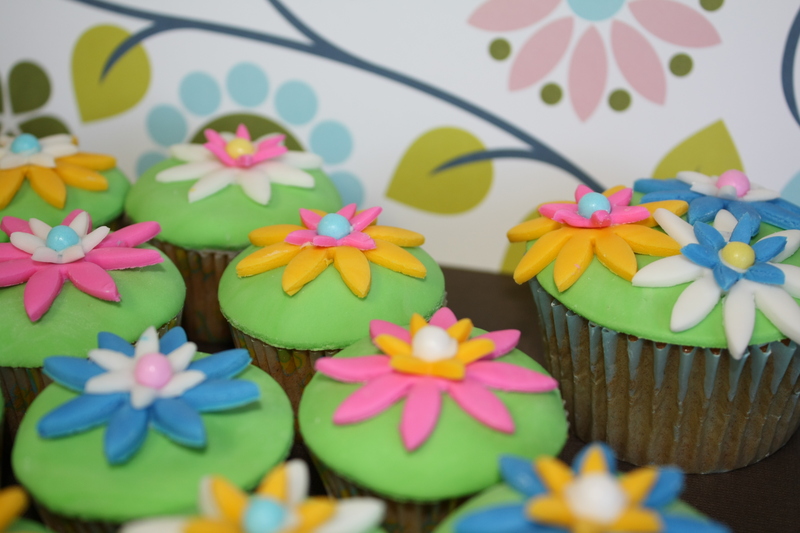 I like to bake the cakes in advance and freeze them until it’s time to decorate. It’s a huge relief to have one less thing to worry about as the party approaches. So…we’ll see how this years cakes turn out! 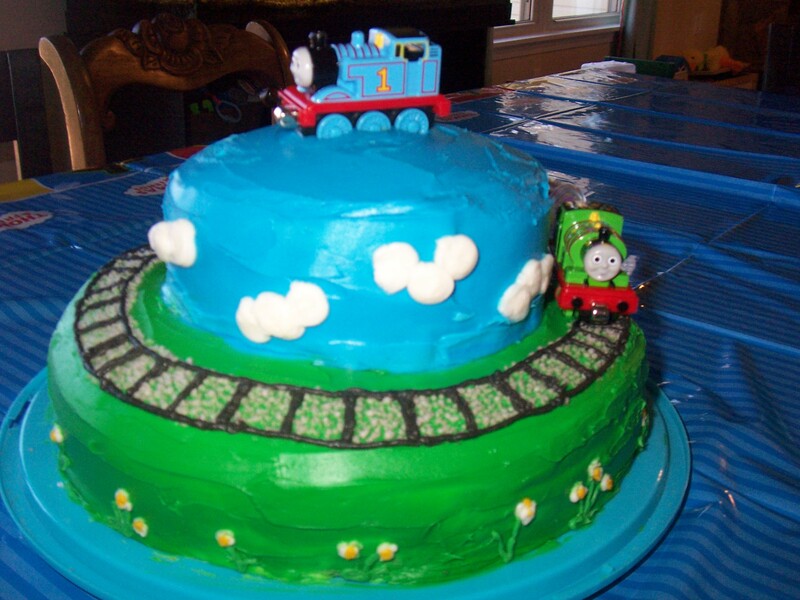 Enjoy a look at a few cakes from the past few years. WOW! 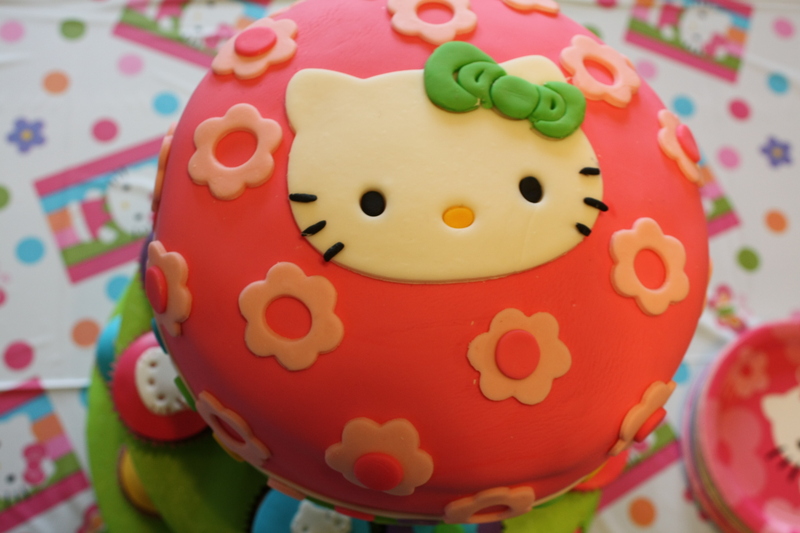 HOW did you make the hello kitty cake? 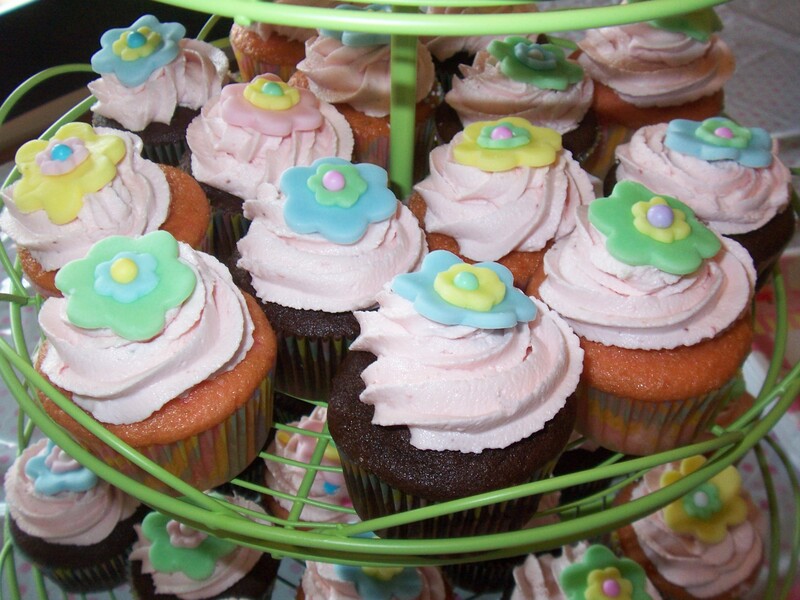 And is that a hello kitty cake on top of a cupcake tower? Details, pretty please? My little girl will be 4 in July, and already has made it known (like, 4 months ago) that she wants a Hello Kitty party! p.s. love your blog! The travel bag is a.dor.able! Makes me wish I could sew! And, I’m super-impressed with the love and detail in all the cakes. Great job!